A Safety Case is a structured argument, supported by evidence, intended to justify that an operation is acceptably safe. A safety case aims to show that specific safety claims are substantiated. Such an evidence-based approach can be contrasted with a prescriptive approach to safety certification, typically used by aviation authorities, which require safety to be justified using a stipulated process. Prescribed standards typically do not require an explicit argument for safety and instead rest on the assumption that following the process will generate the required standard for safety. A safety case regime is an objective-based regime whereby legislation sets broad safety objectives and the operator, who accepts direct responsibility for the ongoing management of safety, develops the most appropriate methods to achieve those objectives. Essentially, the operator must make a ‘case’ demonstrating to the regulator how it is going to effectively manage safety in its operations. The thinking behind a safety case regime is that safety is best managed through positive measures rather than a prescriptive ‘one size fits all’ mentality — that is, safety is best managed if organisations anticipate possible risks instead of merely complying with prescribed technical rules. While regulators must ultimately accept or reject the safety case, it is up to the operator to be proactive rather than simply compliant in the safety management of its operations. Systematic analysis of risks, such as proposed changes to equipment or procedures, can identify and mitigate weaknesses before they combine with other factors to result in undesired costly outcomes. Rather than focusing solely on the level of risk, ASI creates a structured appraisal of how the risk can be managed effectively and efficiently. 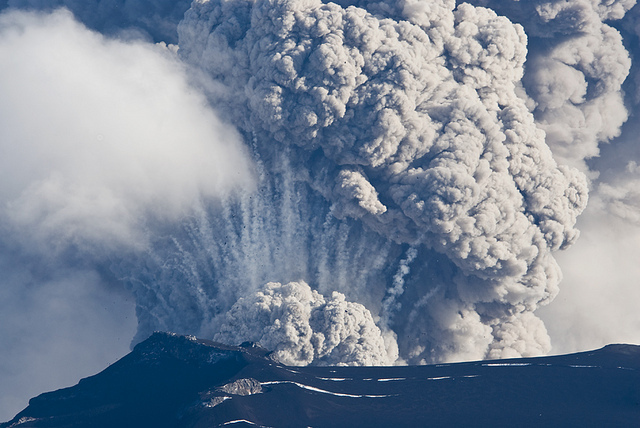 The 2010 eruptions of Eyjafjallajökull were volcanic events in Iceland which, although relatively small for volcanic eruptions, caused enormous disruption to air travel across western and northern Europe over an initial period of six days in April 2010. From 14–20 April, ash covered large areas of northern Europe when the volcano erupted. About 20 countries closed their airspace to commercial jet traffic and it affected about 10 million travellers. The first commercial operator to have approval from their regulator to return to the air was Finnair, supported by a safety case produced by ASI.